Congratulations to Alison Lloyd, an OSU student in the College of Social Work, who was a participant in the Ohio Scholar in Aging Program for Spring 2017! 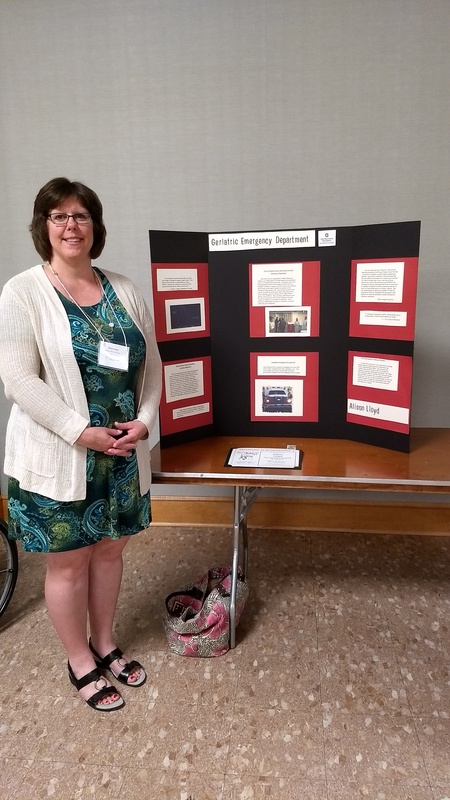 For her practicum, Alison participated in an interdisciplinary team of professional students from around the country learning about complex medical and social needs using a patient-centered approach through Camden Coalition and The Ohio State University College of Medicine. A joint collaboration between the Ohio Department of Aging (ODA) and Ohio Association of Gerontology and Education (OAGE), the Ohio Scholars in Aging program is designed for students enrolled in a practicum, internship, clinical, or other related educational activity that involves caring for older adults or their caregivers. Through this program, students have the opportunity to gain additional knowledge, skills, and establish professional contacts in the field of aging that can last a lifetime. Share information about the Ohio Scholars in Aging Award with your students who you think fit the criteria and may benefit from this award!